It is available as a free download, and In this tutorial we are going to cover installing the mosquitto MQTT broker on Windows and Linux, and then testing the installation. There are good detailed install instructions for windows here. It is important that you install the addition files. and copy them to the mosquitto directory as mentioned in the article. To get these additional files you will have to install additional software packages and copy them from there. However if you have these files already then you can use them on other machines without going through the install see quick windows install below. This is what the mosquitto directory looks like when finished. Note 1: above screenshot is missing some files from cygwin as it was installed and the files were in the right path. If you have already installed Mosquiito on another windows machine e.g. XP and want to install it on another machine e.g. 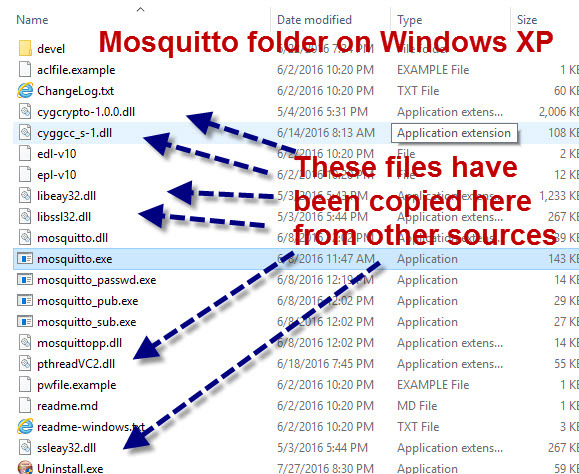 Windows 10 just copy the directory containing the mosquitto files. I copied my windows XP install (32 bit) onto a window10 (64bit) machine and it worked OK. I ve create a zipped directory which I ve used on Windows 10 and Windows 7. You can download it here Don t forget to virus check it let me know if you have any problems with it. Just unzip it go to the directory and run the broker manually as covered below. If the mosquitto broker starts as a service then you will need to stop it. To stop a service go to control panel admin tools services . You can stop the broker and change the automatic startup settings so it doesn t automatically start on Windows start up. Note: On my install (on XP) it wouldn t start as a service and gave error code 1053. This wasn t a problem because I wanted to start it manually anyway. 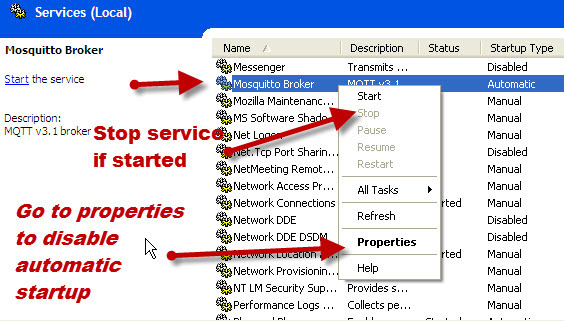 To start the broker manually open a command prompt and go to the mosquitto install directory and type mosquitto . I followed the install instructions for Ubuntu but they seemed to miss a few important steps. Here are the steps I used for Linux Mint. It should automatically start mosquitto. Most sites I discovered where using the format. However it seems newer installations use upstart initialization system instead of the init.d initialization system. The stop/start scripts start the mosquitto broker in the background and also use the default mosquitto.conf file in the /etc/mosquitto/ folder. If you want to see control messages on the console then you need to start the mosquitto broker from a command line. You should see the Mosquitto broker running on port 1883 as shown in the screen shot above. The configuration file (mosquitto.conf) that comes with the install is completely commented out, and the MQTT broker doesn t need it. On windows the mosquitto.conf template file is found in the mosquitto directory. 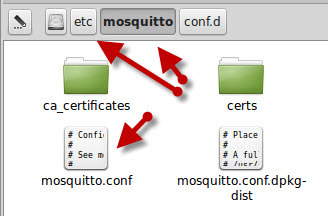 On linux you can find the mosquitto.conf template file in the /etc/mosquitto/ folder. It is a good idea to create a copy of this file before editing it. This is useful for troubleshooting. Logging is already enabled in the default config file so all you need do is start mosquitto with this config file. On Windows you may also need to specify the path to the config file e.g. On Windows 7 and 10 they gave an error regarding a missing msvcr100.dll file. I found the file on my system and copied it to the Mosquitto directory and they worked OK. It lets you publish and subscribe to topics using a web interface, and is much easier to use than the command line clients. My Python MQTT Scripts -Collection of python scripts that you may find useful. Was This Article Helpful? Please Rate..
[ ok ] Stopping mosquitto (via systemctl): mosquitto.service. It doesn t look like it is being stopped or it may be automatically restarting. Ubuntu installs don t use the init scripts. Try using the sudo service mosquitto stop command.